Sustainability Ratings Agency: "CSR Requires Commitment and Accountability"
What role does sustainability reporting play in companies’ Corporate Social Responsibility (CSR) efforts, and how does Vigeo Eiris fit into this ecosystem? Our role is to assess companies’ level of commitment and ability to recognize their responsibility for risk factors that are material both to their stakeholders and themselves. This is why we believe reporting is an essential component of CSR, as companies have to commit to taking stakeholder expectations into consideration, and be accountable to them. Commitment and accountability are two key aspects of CSR which must be based on understandable, comparable, reliable and accurate reporting, supported by qualitative and quantitative indicators. To evaluate companies’ CSR performances, Vigeo Eiris has developed its own reporting assessment framework, based on our unique Equitics© Methodology. Our research framework is built upon six domains: the environment, community involvement, business behavior, human rights, governance and human resources. Our framework is highly consistent with the GRI Sustainability Reporting Standards: 96% of issues covered by the GRI framework are also included in our assessment. CSR reporting is gaining more importance in the business world, with investor interest in ESG data on the rise. What is driving this trend? Thanks to legislation, such as the EU Directive on Non-Financial Reporting, finally being transposed into national legislation, and companies’ commitment to improve their disclosure practices, CSR reporting is on the rise. As expectations and scrutiny from all stakeholders continue growing, companies have to become more transparent. In addition to experiencing peer pressure, they also get a positive incentive to improve their CSR commitments, measures and results. Increased transparency, in turn, decreases information gap and builds trust among investors, who are concerned with sustainability issues. This allows them to make investment decisions based on robust CSR risk and opportunity assessments. 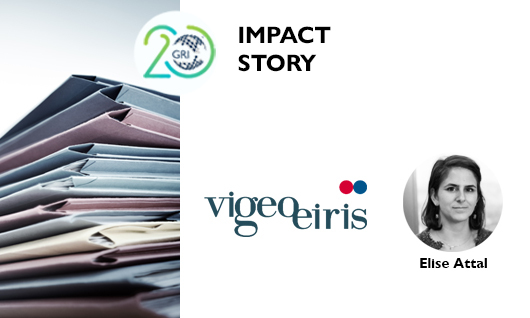 Vigeo Eiris makes assessments mainly based on data published in CSR reports. How does the use of different reporting frameworks play out in your work? We believe multiple reporting frameworks are instrumental in helping companies, as they give them appropriate tools to choose from and refer to. However, as stakeholders are now increasingly asking for better comparability of reporting, company metrics and KPIs, we believe all players and reporting framework providers should pursue their efforts to improve convergence between existing approaches. As such, we welcomed the Corporate Reporting Dialogue, which was launched in March 2016 by key players (GRI, IIRC, CDP, CDSB, IFRS, ISO, FASB & SASB) and provides a comparison of these frameworks, regarding their respective definitions of materiality and their various approaches to CSR reporting. What are the most pressing challenges facing sustainable finance, and how does Vigeo Eiris plan to contribute to solutions? Many challenges remain to further develop sustainable finance and socially responsible investment practices, and to align the investment community with long-term sustainability considerations. The increasing recognition of the material relevance of ESG factors motivated Vigeo Eiris to support an initiative calling for all issuers to publish their ESG ratings on all financial instruments as standard practice. 22 major European investors signed up to this initiative, which will scale up existing best practice and has the potential to harmonize how issuers communicate their extra-financial ratings. We are aware of these numerous and significant challenges and will endeavor to respond to stakeholder demands regarding sustainable finance. As an intermediary between companies and investors, how do you see the future of ESG disclosure? Following the release of the High-Level Expert Group’s interim report on sustainable finance and the current EU consultation, we encourage institutions such as the European Commission to support mandatory ESG assessments by ESG rating agencies for all European listed companies, as well as mandatory disclosure of ESG ratings by companies, just like they do with financial ratings. We therefore would like to see companies disclosing their ESG rating and ranking more systematically. Reporting should be seen as an efficient tool for stakeholder engagement, internally and externally, and not as a compliance burden. With the GRI Sustainability Reporting Standards, companies are able to unlock the transformative power of transparency, while contributing to the common sustainability agenda and reaping the benefits of increased stakeholder trust. Join the global community of organizations advancing the transparency agenda by joining the GRI GOLD Community.